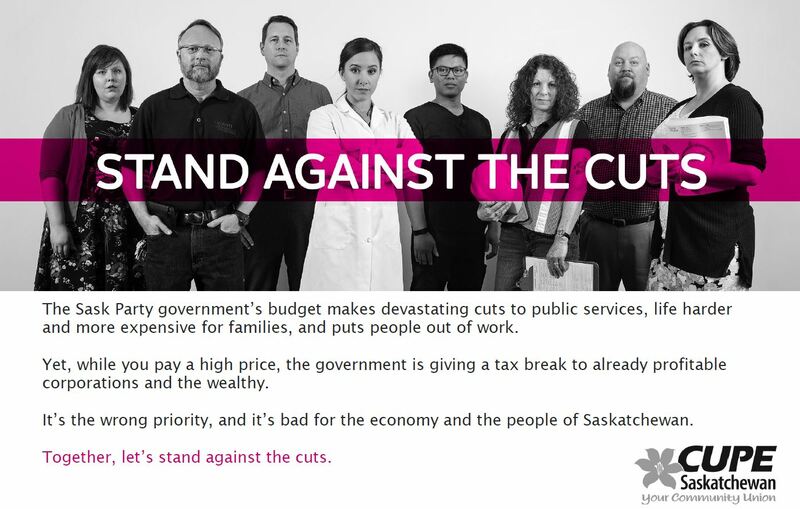 Saskatchwan’s newest provincial budget is balanced in favour of bureaucracy, at the expense of front line care, says CUPE 5430< The merger of 12 health regions into the Saskatchewan Health Authority was predicted to save $20 million annually, with all savings being directed to front line care. But there is little evidence to show that such cost savings were realized. The budget was also silent on two of the issues on the top of mind for Saskatchewan people: wait times, and a comprehensive strategy for seniors’ care. “There is nothing in the budget that addresses the dire infrastructure deficiencies plaguing long-term care facilities across the province. Notably, there was nothing to address the urgent need to replace crumbling long-term care facilities in Regina and Grenfell,” said Seitz. The one silver lining in the budget was the announcement of increased funding for mental health and addictions.